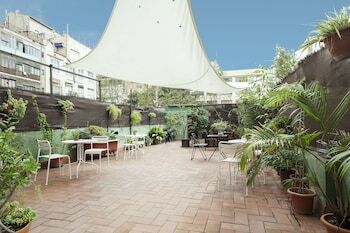 With a stay at Casa Diagonal Hostel, you'll be centrally located in Barcelona, just a 4-minute walk from Casa Mila and 10 minutes by foot from Casa Batllo. Featured amenities include a computer station, express check-in, and express check-out. Self parking (subject to charges) is available onsite. With a stay at Apartamentos Playasol Riviera in Cala de Bou (San Antonio Bay), you'll be steps from Playa Bella and 7 minutes by foot from Pinet Beach. Limited parking is available onsite. Located in Cartaya (El Portil), this apartment is within the vicinity of EL Faro Shopping Center and Playa Huelva. Free self parking is available onsite. When you stay at Palacio del Obispo de Graus in Graus, you'll be in the historical district and 8 minutes by car from Puente Románico.